Mats serve a multitude of services to the quilter. They protect the cutting table from damage by the rotary cutter, scissors and pins. 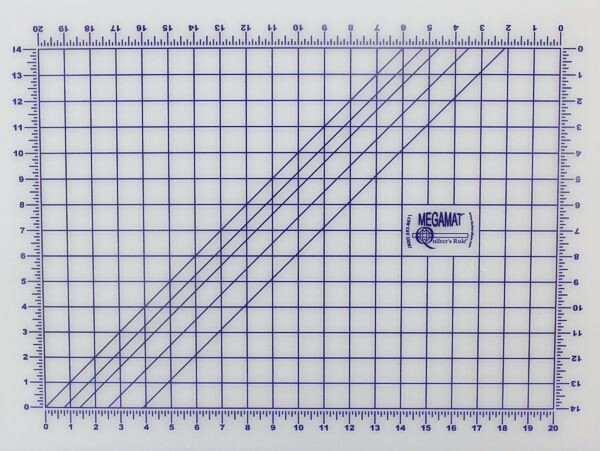 Quilter's Rule manufactures MegaMats in a variety of sizes. In addition we offer turntable mats and mats for many of the commercially available cutting tables. Even though the mats are printed with measurements, they should never be used for finish cuts. Because of size and weight actual shipping charges will apply to mats rather than our shipping table charges. Economy mats are made of Styrene and are not pinnable.